The St James Way offers an original and different way of sightseeing in northern Spain. You'll discover a wealth of monuments, charming towns and villages, spectacular natural attractions…For those who are staying in Oviedo the last days of August, the Organizing Committee suggests going through the primitive route, which starts in Oviedo and finishes linking up with the French route, in Palas de Rei. The primitive itinerary recreates the route taken by King Alfonso II the Chaste in the 9th century to visit the tomb of James the Apostle when it was first discovered. It passes through the woods and valleys of Asturias. At the beginning of the excursion, a meeting point will be designated in Oviedo. Participants will receive a pilgrim’s kit and the accrediting document. 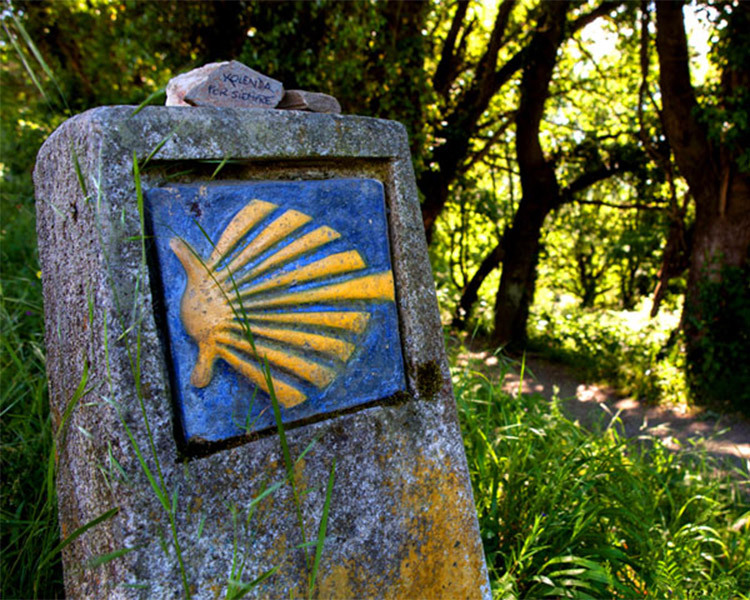 Become a pilgrim and follow the path that has been trodden for more than a thousand years! We propose you a fascinating journey throughout beautiful and breathtaking landscapes! This is a free activity but registration in your user area (Excursions) is required.